Indulge me for a moment in some “back in my day” reminiscing. When I was coming up in the world of media and communications, leading a team of PR pros at Sony Music and later the Estefan Enterprises, we worked hard to gin up positive coverage for our artists. More coverage equaled more units sold, so these earned opportunities were golden. Those media gatekeepers could make or break a new album, a career, or a label itself. Needless to say, things are different today. For musicians and entertainers the revolution kicked into high gear back in the mid-00s with the rise of MySpace as a proto-platform to own the messaging and imagery associated with your brand. With a little bit of HTML and a lot of elbow grease, you could bring your art to millions, where you once needed a label, a marketing team, and an interested media. The MySpace page became the new street team (not coincidentally around this time Sony and other record companies decommissioned their own networks of real street teams). And we know the story from there: MySpace begat Facebook, YouTube, Twitter and Instagram, and for artists more targeted apps like Soundcloud and Bandcamp integrated nicely. Cobbling together these pages with a centralized website and blog makes an effective, elegant platform for artists. Tend that social media garden well enough, and it becomes hard to remember why we ever needed media outlets so badly. Of course, we love our friends in the press, and they always make our jobs easier. But the best brands today are leaving nothing to chance. Like those bands inhabiting the early MySpace, smart brands are creating their own platform for message management. Our client Zappos recently engaged us for a back-to-school campaign. The deals were great, as was the apparel. And the brand is noteworthy in its own right—definitely not an unknown, frequently covered by mainstream press and trades. But this was a back-to-school campaign, straining its neck to be noticed in a sea of other back-to-school campaigns. Earned media coverage was incredibly unlikely without some kind of elevation. We used the brand’s social media platforms to link out to guest bloggers whose influence made the campaign into actual coverage-worthy news. Now, it wasn’t just half off your second pair of sneakers. It was mommy bloggers bragging about the pairs of shoes they had gotten for their kids. Engaging with the influencers, we were able to rise above the commercial noise. Sometimes the need to control the message speaks to the brand’s very existence. Consider a quick service restaurant client of ours who was facing a very difficult investigation in Europe into their locations. The sensational story gave short shrift to the facts and was bombastic in all the ways you hope to avoid for your clients. So, rather than engage with the journalists in their forum, we marshaled the strength of the brand’s social media to publish facts about the situation, taking a crisis and turning it into a teaching moment. This kind of education would have been impossible on any platform other than the client’s own. The strategy was effective: the news magazine shelved a planned sequel to their report after our own messaging essentially defanged their reporting. Here is a healthy exercise for anyone leading a brand’s communication efforts: imagine you have something incredibly important to say, something everyone needs to hear, and you have to do it right this moment. How would you do it? Would you be reliant on someone else to do it for you? Is your social media presence primed and active? Have you tended that garden? What shape are your lists in? When’s the last time someone organically signed up for your newsletter? Do you have a newsletter, if only to collect email addresses? Media companies spend millions to refine their platforms. So should you. No one can tell your story better than you. Last Tuesday, the prestigious Cannes Lion Awards, considered by many the gold standard for industry recognition in advertising, twice recognized the McWhopper campaign, ideated by Young & Rubicam New Zealand. As part of RockOrange’s ongoing relationship with Burger King, our team was recognized for its work to deliver a robust issue management process just in case the call for peace didn’t go according to plan. RockOrange also worked closely with Burger King’s other agencies on marketing ideation and materials review. The Grand Prix awards, won in the media and print & publishing categories, went for the revolutionary campaign that saw Burger King bring competitors to the table to put aside their petty differences and raise money for the cause of peace. The campaign began with an open letter to McDonalds CEO Steve Easterbrook, offering an olive branch in the form of a shared burger in honor of Peace Day. The burger would use ingredients from both McDonalds Quarter Pounder sandwich and Burger King’s Whopper sandwich. The chains would meet in Atlanta—a midway point between the brands’ respective headquarters in Illinois and Miami—and open a McWhopper pop-up, with proceeds going to Peace One Day, a non-profit organization dedicating to spreading peace. And while archrival McDonalds refused Burger King’s overtures, other fast casual and quick service restaurant brands like Denny’s, Wayback Burger, Krystal and Giraffas all opted into the campaign, successfully creating the Peace Whopper. 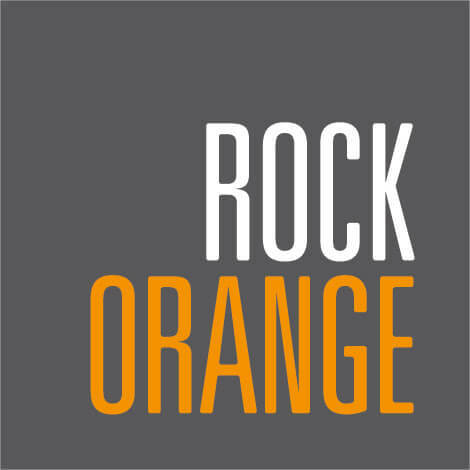 This is far from the first recognition for RockOrange, which earned a nod for PR News’ ‘Facebook PR Campaign of the Year’ in April, and was named ‘New Agency of the Year’ by the Bulldog Reporter and The Holmes Report in 2014. The Cannes Lion Grand Prix awards were accepted by Young & Rubicam New Zealand, who conceived the campaign. Agency partners Code & Theory, Alison Brod Public Relations and The David Agency were recognized as well. Celebrity influencer posts are going viral for all the wrong reasons. Celebs including Scott Disick and Naomi Campbell appear to have “accidentally” copy and pasted a little more than they should when promoting branded goods – namely the notes on ‘how-to-post’ as provided by the brand PR. Summer’s Here. Time to Lighten Up Your Marketing. Summer – a time to strip down, lighten up and have some fun. With the longer days and rising temperatures comes a sense of renewed energy and a tendency towards the whimsical. Heavy soups and stews are replaced by summer salads and outside BBQs, weekends spent binging on TV shows are replaced with trips to the beach; hemlines are on the rise and the possibility of a summer romance is around every corner. A lesser-known summer side effect is that when the sun is out, people spend more. Research suggests that the sun makes us feel better and, in turn, according to these findings, shop more. For marketers looking to capitalize on this sunshine-induced positive consumer attitude, lightening up their campaigns to match the season is a must. Here are three ways to do it. 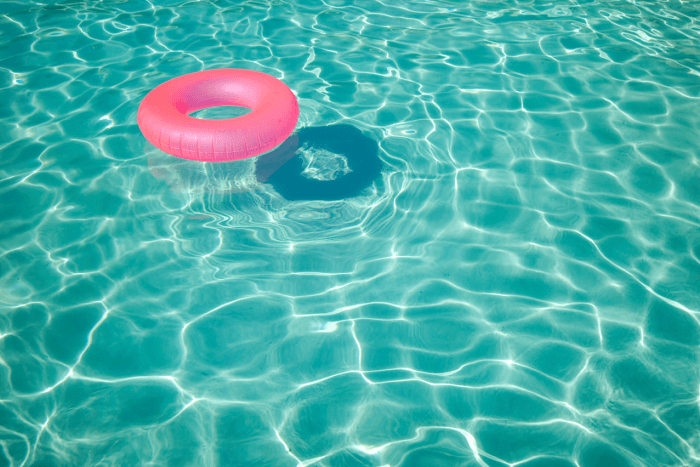 Summer is all about having fun, and that should translate into summer-focused marketing campaigns. From using elements of gamification to spark competitiveness, to boosting engagement with loyalty programs, to viral marketing, making campaigns fun means making them engaging. That’s why Snapchat has overtaken Twitter in daily users. The fun factor is significantly higher with its array of filters and, like a summer romance, is non-committal by the nature of its time-limited posts. As Apple introduces its new emojification feature, where users will be offered up emoji’s as alternate suggestions to typed words, and Twitter announces the ability to target ads based on emoji’s, the power of the written word is diminishing. That means marketers need to be more visual than ever with their messages and campaigns. And if a picture is worth a thousand words, a video is worth 10-times as much. According to a report published by Forrester, including video in an email leads to a whopping 200-300 percent increase in click-through rate. And 45.4 percent of users viewed at least one video online over the course of a month according to ComScore. This is the time of year marketers should be directing even more of their attention to mobile. As consumers head outside and away from home, marketers must reach them in the mobile-moment wherever they are – and mobile is the best channel to do that. But the key to mobile marketing is relevance – getting the right content to the right customer at the right time will drive action. The easiest way to be relevant is through location. Understanding where a customer is in relation to your product is the best way to understand where and when to target consumers. Remember, all that sunshine makes them want to spend more – so it’s just a matter of ensuring your brand is top of mind when they make that in-the-moment purchase. This summer, make sure your marketing matches your customers’ season. Make it fun, make it visual and make it mobile. Just remember, summer may only be one season, but the memories last a lifetime. Make sure your marketing is memorable to match. So, this space was supposed to be reserved for an exultation of the Golden State Warriors’ second consecutive NBA title and an exploration of their innovative fan outreach. The Warriors, for the past 24 months, have been the NBA’s flagship brand, led family values, kid-friendly Stephen Curry, a player who is every marketers dream. They have no less than six bona fide stars on their team, and consistently lead the league in jersey sales. However, that storyline went out the window Sunday night when Kyrie Irving hit a late three-pointer and LeBron James sealed the win with a free throw, earning the Cleveland Cavaliers the franchise’s first NBA championship and Cleveland’s first championship in more than 50 years. There might be no bigger brand turnaround story than the Cleveland Cavaliers. Owner Dan Gilbert’s franchise has pulled a 360 during the past decade. In 2007, a much younger James led Cleveland to the NBA finals, where the San Antonio Spurs summarily crushed them. In 2010, James—the hometown hero who made the Cavs relevant nearly single-handedly—signed with the Miami Heat as a free agent, leading that team to four finals trips and two titles. Meanwhile, the talent bereft Cavaliers began a putrid four-year stretch as the worst team in the league. Then The King came back. When James announced he would return to Cleveland in 2014, it portended better times, and they were immediately improved as they played their way to the championship round despite a hobbled supporting cast. However, the Cavs lost to the Warriors in 2015. Still, James’ return immediately made the team twice as valuable, rocketing up the list of NBA valuations. And that was before Sunday’s win. After a historic comeback against grim odds, the Cavs have completed their comeback as a brand refreshed. Some 31 million viewers watched the final game, making it the most-watched NBA Finals game since Michael Jordan’s heyday. Returns are early, but bandwaggoneers are already clearing shelves and online inventory of team apparel. Kids across the country are wearing Cleveland’s number 23. Season ticket sales for NBA champs are invariably higher than the previous seasons, assuming no loss of star power. On that topic, James, who reasserted his claim as the best player alive, is expected to re-sign with the Cavaliers during his impending free agency. Six years ago under similar circumstances, Cleveland fans were left disappointed when LeBron took his “talents to South Beach.” Such a move is highly unlikely this year. Everything is coming up Cleveland. It’s a great story about an underdog made good. James and Cavaliers have proven that the NBA is a rare brand ecosystem where one talented person, properly focused and channeled, can literally reverse a brand’s destiny. Apparently the average Millennial may take up to around 25,700 selfies during their lifetime spending more than an hour each week taking and posting the images to social media sites. So today, in honor of #NationalSelfieDay, we asked – how do you Selfie? Apple TV is going live. Deals have been done with, among others, Dish Network for its Sling TV platform and Fox for its Live Fox Sports Go service, bringing dozens of live channels to Apple TV users. But is Apple too late? Does anyone care about, or watch Live TV anymore? We asked our RockStars – do you Live TV? In communications, digital is the way of the future. Agencies that hope to remain viable in the future need team members who can tell an array of stories across all of those platforms. So it is with this in mind that we proudly welcome our agency’s new digital strategist, Rafael Aguirre, into the fold. Our latest RockStar sports an expertise in digital marketing and an in-depth knowledge of the realm of social networking. Rafael has a proven track record of organically increasing brand awareness online while developing a lasting correlation with consumers—skills heavily sought after by our brand partners. Recently, Rafael has crafted impactful campaigns for numerous large brands, including Volkswagen, Joe DiMaggio Children’s Hospital, Royal Caribbean and Marriott. Rafael says he approaches jobs by trying to understand a brand’s core needs, then by working to identify trends and opportunities that are authentic to the brand. He has extensive expertise in dealing with the U.S. Hispanic market, the largest growing demographic in the country. A graduate of Full Sail University in Orlando, Rafael got his start in the industry as a digital product production coordinator for Sony Music. Most recently, Rafael was at Miami-based Nobox where he was a social media strategist. At RockOrange, Rafael will tailor client content to best reach end users using search engine optimization tools that help brands navigate the internet wilds. In short, he’ll help our clients brands shine online. It’s official. There are more people snapping every day than they are tweeting. 150 million daily users in fact compared to Twitter’s 140 million. And it’s not just Twitter. Snapchat now sits second only to Facebook in the amount of time users spend in social apps beating out Instagram, WhatsApp and Messenger among others. So we asked our RockStars – Why Snapchat?